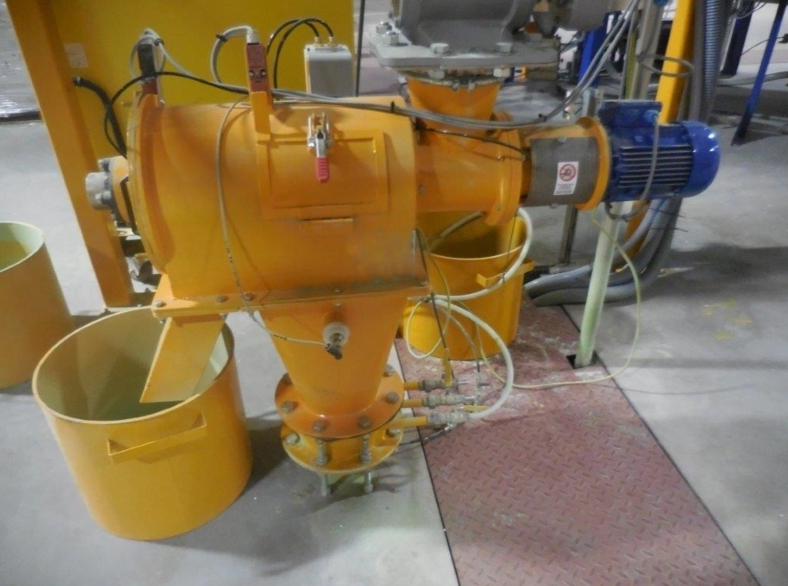 The rotary separator is ideal for control and refinement sieving, as it assures the particle size uniformity and the absence of impurities in the treated product. 2) high level of productivity. 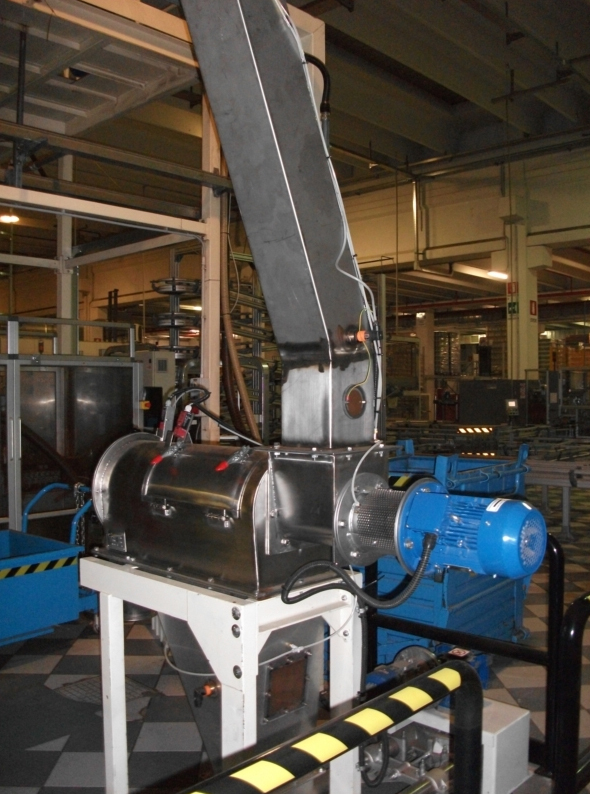 The operating principle of the rotary separator is extremely simple. 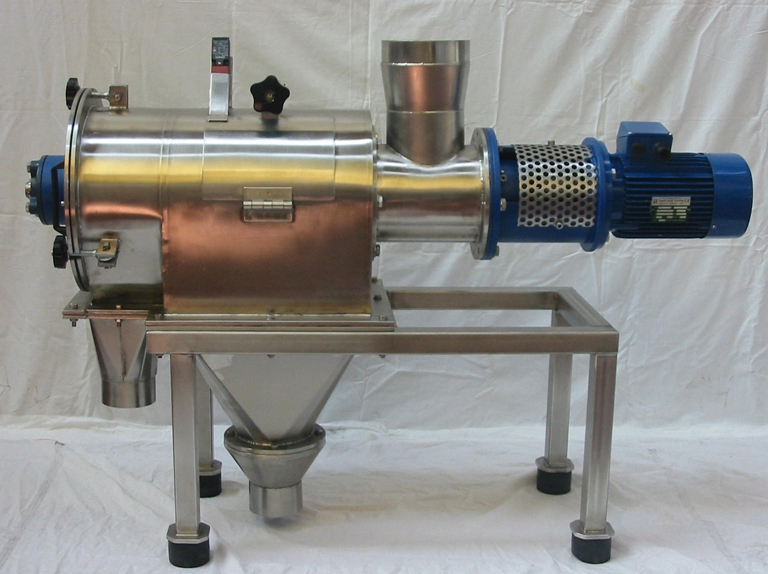 The product is fed into the machine from the loading mouth and, through an auger, is sent to sieving chamber, consisting of a mesh drum. Here, stirred by special rotating bars, the product comes into contact with the mesh, letting through the “fine” fraction, which shall be discharged from the main mouth. Impurities, instead, are held back and, proceeding inside the mesh are then conveyed to the secondary discharge mouth. 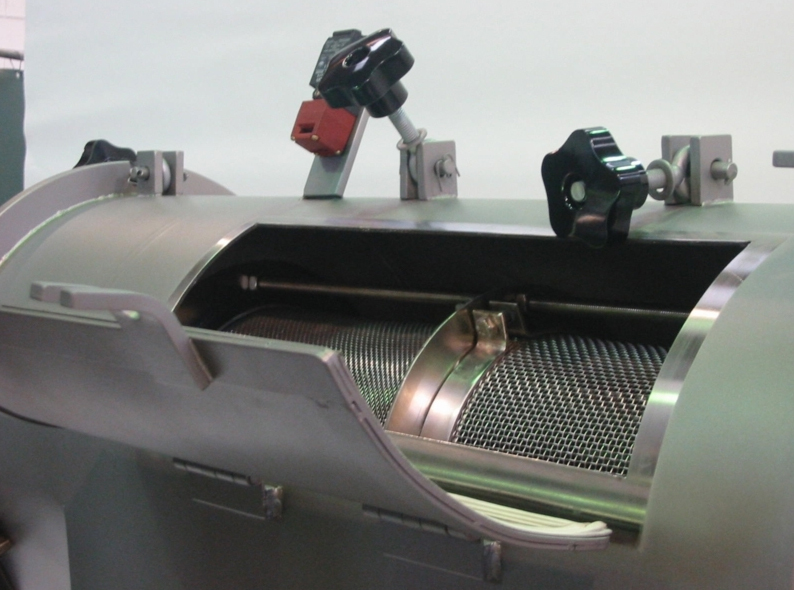 The sieving machine is equipped with compressed air connectors in the front and rear section, to keep the powder away from bearings. 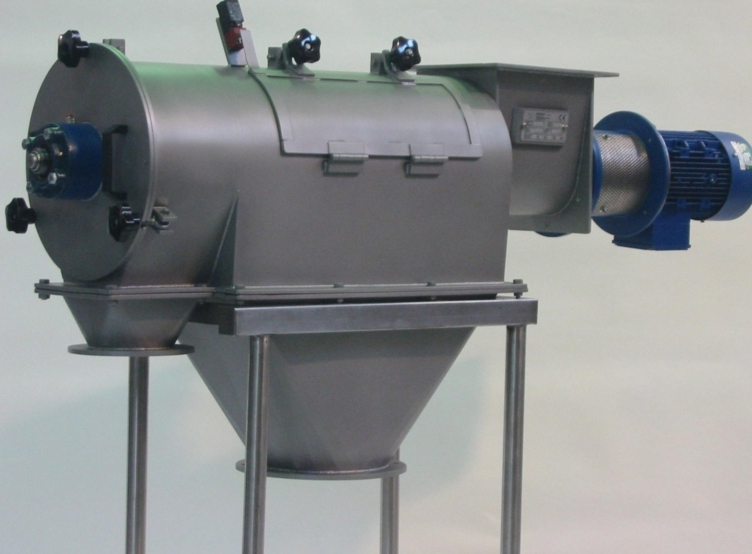 iPro manufactures the rotary separator in three models, featuring different dimensions and thus hourly rates, to meet the different customer requirements. The machines may be made of carbon steel or stainless steel. The latter, upon request, may be supplied with a mirror-polished surface finishing. 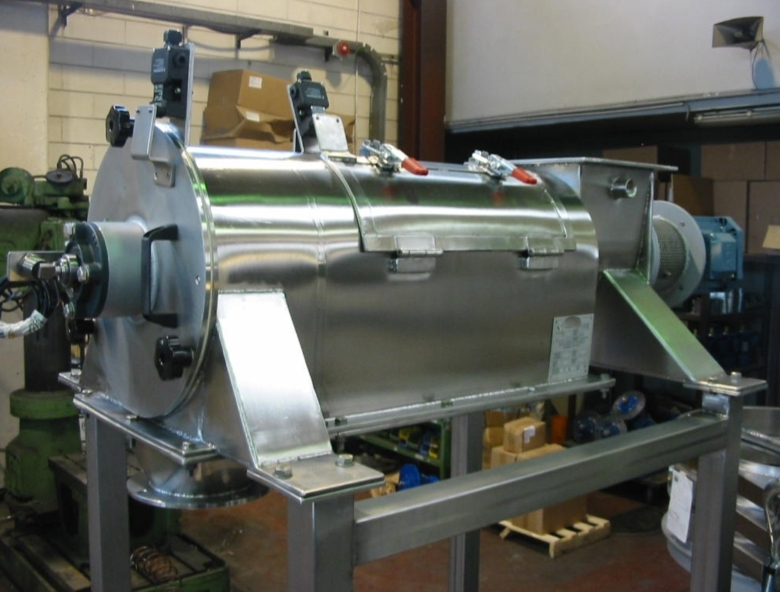 Removing the inner components of the rotary separator is extremely simple, for easier cleaning. 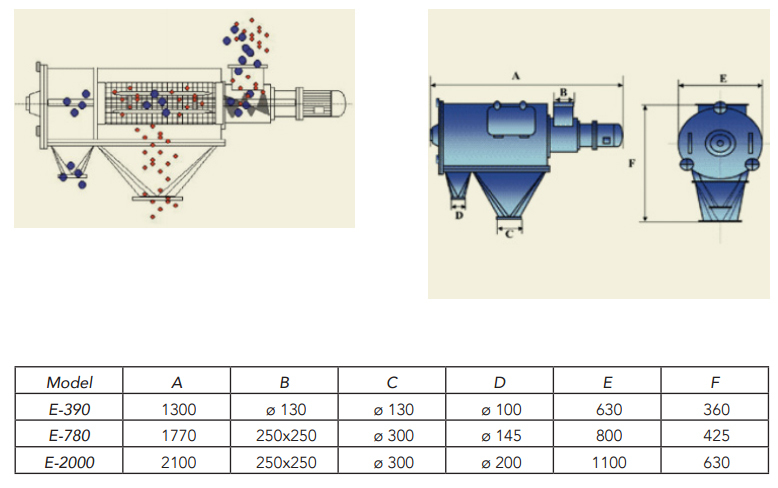 The following are just a few of the products which are typically sieved using the rotary separator.